The paper discusses the problem of the message-oriented middleware utilization in telemetry systems. 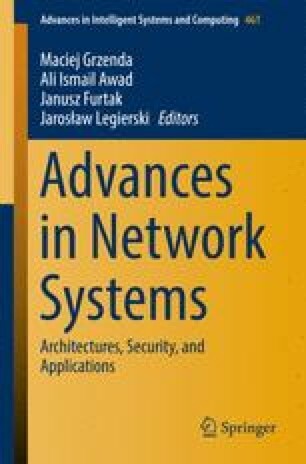 The authors provide a survey and practical measurements of common data transmission protocols for telemetry applications and wireless sensing. Based on that survey the authors propose concepts of message aggregation mechanisms to improve power consumption of the data transmission channel. As the entry point, the authors assume the utilization of the MQTT protocol. The concepts described in this paper have been successfully implemented in a smart levee monitoring system. The research presented in this paper was partially supported by the National Centre for Research and Development (NCBiR) under Grant No. PBS1/B9/18/2013 and by the Polish Ministry of Science and Higher Education under AGH University of Science and Technology Grant 11.11.230.124 (statutory project).